Worldwide smartphone shipments are expected to pass 1 billion in 2012, with the impending launch of Apples latest version of its iPhone smartphone creating additional excitement in the market, according to a report from research firm NPD. Yet, despite the excitement surrounding the new iPhone, the volume of new smartphone shipments is lower than expected, according to NPD, which downgraded its forecast of new purchases in 2012 to 177 million units from 220 million to 230 million units. The report also concentrates on the display type Apple is presumed to have included on the latest version of the iPhone, which is widely expected to be larger, wider and offer in-cell touch technology, which uses a touch sensor integrated into the display panel. The space-saving design element, which can reduce the thickness of the display-sensor combination by as much as a half-millimeter, could be used to allow for a larger battery, the report predicted. Apples iPhone 5 will be a key product for the smartphone market in the second half of 2012. Apple shipped more than 140 million phones in 2010 and 2011, so we can expect smartphone shipments to continue flourishing as users upgrade to the new iPhone, Hiroshi Hayase, vice president, small/medium displays for NPD DisplaySearch, said in a prepared statement. 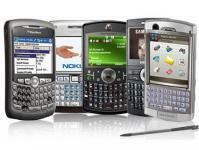 The timing of mobile phone contracts can also impact the smartphone market. More service providers are likely to shorten mobile phone replacement cycles in an effort to boost sales. NPD is not alone in issuing last-minute reports and predictions about the iPhone 5. Analyst firm Ovum said it expects that the new iPhone will be Apples most successful smartphone to date, but cautioned Apple needs to do much more than the widely expected hardware revamp of the iPhone to lead in the smartphone market. The report says the company risks falling into the same trap that Nokia and BlackBerry maker Research In Motion (RIM) have fallen into. Without a redesign of the iOS user experience and underlying software platform in the next two years, Apple will find itself with an outdated smartphone platform that needs replacing, according to the report. Apple is already playing catch-up in a number of areas, including near-field communication (NFC) technology, 4G Long-Term Evolution (LTE) network capability and a larger display, all elements found in competing smartphones from Samsung and other handset manufacturers running Googles open-source Android operating system. The latest iPhone is expected to have a larger screen and LTE capability; however, NFC capabilities are less of a sure bet. Apple has successfully built the iPhone from a radical new entrant to the must-have smartphone. Whilst the company is still reaping the rewards of the brand equity of the iPhone, consumers are notoriously fickle when it comes to buying handsets, Adam Leach, leader of Ovums devices and platforms practice, said in a prepared statement. Without the continued innovation which we are accustomed to with Apple, the company risks losing consumer appeal. The iPhone re-defined the smartphone category in 2007, but it cant rely on past success to guarantee its future or rely on litigation to keep its competitors at bay. Long distance calls from Canada will be more cheaply for your budget with Royal Call international phone card. Very low prices on New Zealand long distance communication you will find in Continental web page. Overseas calls from United States can be more cheaper for your purse with CheapStreet international calling card.